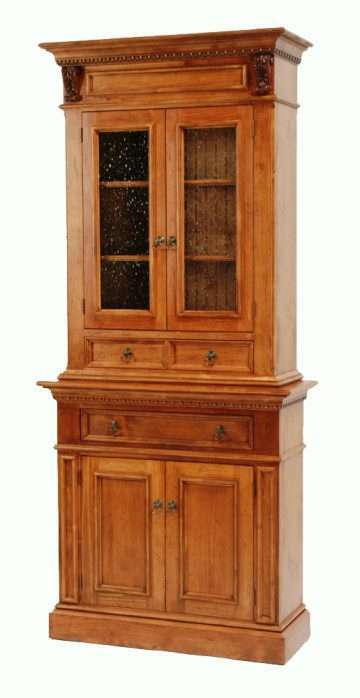 Top features 2 seedy glass doors with beadboard interior back, 2 adjustable shelves with plate grooves, and 1 false-front drawer with wooden drawer glides. Base features 1 drawer with wooden drawer glides and hidden storage with 1 fixed shelf. 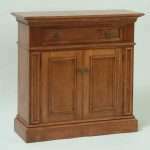 Top Only is available as RWC45-Regency Wall Cupboard. 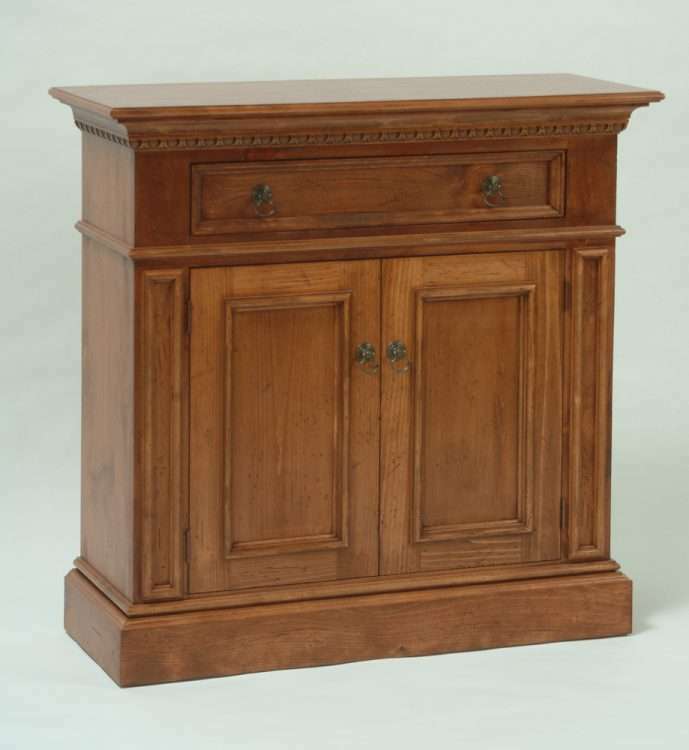 Base Only is available as RHC36-Regency Hall Chest. Ships in 3 corrugated cartons: Cabinet top (89 lbs), cabinet base (67 lbs), and adjustable shelves (7 lbs) on 1 wooden pallet (50 lbs).